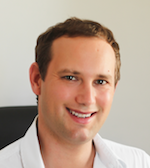 In the winter of 2010, I decided to quit my financial career. I booked a one-way ticket to Brazil, sold my belongings, packed what was left in two suitcases, and ventured into unchartered territory. I didn’t know what I would do for money or where I would end up in the world; I simply recognized that I was taking the first step of an epic journey. The next few months in Brazil were magical. I spent my days surfing and bouncing around the beautiful city of Florianopolis, meeting loads of locals and travelers along the way. I was already fluent in Spanish, French, English, and Dutch, but Portuguese was a language I had never been exposed to. Since I felt such an attraction to Brazilian life and culture, I decided to study Portuguese. In two short months, I had achieved a solid fluency level, allowing me to make even more friends in the region. I felt so free and at ease! My life had morphed into a true fairy tale. I was no longer biding my time and gritting my teeth to make it through a treacherous and boring workday. Instead, each moment was memorable and lovely. The idea of sitting behind a desk and working for a company seemed so distant and unappealing. I couldn’t fathom ever going back to that life. Never again. But I had one minor issue I had yet to resolve: money. Sure, I had some funds in the bank, but they wouldn’t last forever. I needed to develop a stream of capital in order to finance my newfound lifestyle. Granted, I was living quite a humble life, staying in relatively cheap accommodations and eating inexpensive meals, but all play and no pay would eventually take a toll on my bank account. At that point in time, I only had one revenue stream: the rent I earned from my apartment in Amsterdam. It made me a little cash, but not nearly enough to survive on. So began my financial quest. I pondered a number of potential options such as (1) starting various Internet related businesses, (2) buying and selling used automobiles in South America, and (3) diving head first into online poker. But all of those options turned out to be dead ends. My research finally led me to a new method of monetizing property. Instead of renting out a home using a standard fixed-term lease, owners were now renting out chunks of time in an apartment just like a hotel. To make all of this possible, they were utilizing a new and revolutionary site called Airbnb, an amazing online marketplace for short-stay rentals. It sounded interesting, but the risks seemed way too high. How could I trust a complete stranger in my home, not to mention a stream of strangers over several years? Plus, I was already earning a solid cash flow from a straight fixed-term rental. How could I be certain that the short-stay market would be more profitable? But as I dug deeper, I realized that I could substantially magnify my annual income for very little additional risk. I read everything I could about the short-stay business and began setting up the necessary logistics. After a few short months, I was making enough money to fund my travels. I was no longer eating into my hard earned savings; instead, I was staying afloat atop a sturdy raft of short-stay customers. And just like that, I had achieved absolute financial freedom! This was the lynchpin of my quest. This was the final answer I had been searching for. I could now spread my wings and glide effortlessly across the sky without a care in the world. Today, my life is simply beautiful. I split my time between an assortment of idyllic locations across Europe, Asia, Australia, and the Americas. I occupy my days with city strolls, delectable meals, surfing, swimming, sunbathing, and jovial jaunts with my friends. I’m happy and enthusiastic each and every day. I could have never attained this lovely and enjoyable existence were it not for Airbnb. It has truly changed my life, and I couldn’t be more grateful. New to Airbnb? 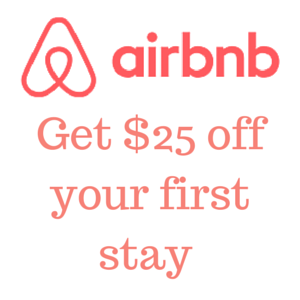 Sign-up now and get $25 travel credit! Jasper has been traveling the world for years, supporting himself by renting out his apartment on Airbnb. He wrote a book about his experience, Get Paid For Your Pad. 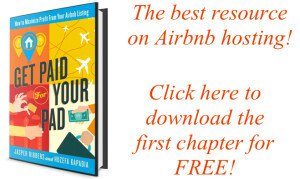 The book teaches other Airbnb hosts how to make the most out of any Airbnb listing. You can download the first chapter for FREE! Don’t like reading? 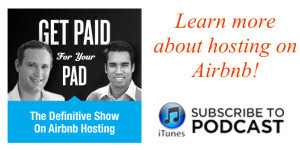 Subscribe for the Get Paid For Your Pad Podcast and listen to stories from Airbnb hosts from all around the world! You can subscribe in iTunes and Stitcher (Android users). To stay updated on Airbnb hosting, follow on Twitter or Facebook.